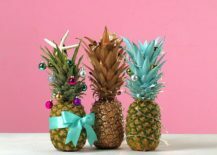 21 Cool Christmas Tree Alternatives Including Trendy Decorated Pineapples! 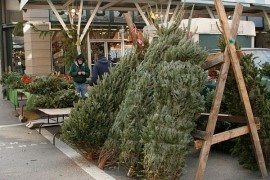 You never know when and how it happens. 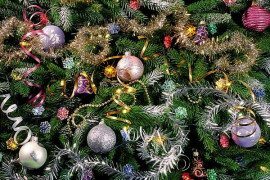 Every year you make a promise to yourself that next year will be different; that you will be more prepared and ready to take it all on. 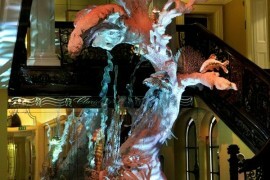 Then when the time comes, its déjà vu all over again. 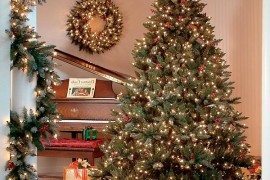 Yet, as you settle next to the glittering Christmas tree and see the twinkling lights outside while sipping a cup of eggnog or even just hot chocolate, you know it is worth it all! 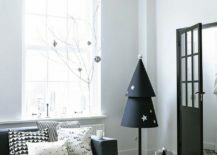 The Holiday Season does rush past us and even when we feel ill-prepared, we somehow find ways to make it all work in the end. 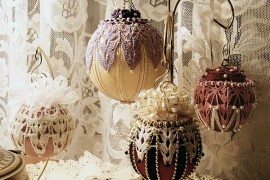 That is somehow the beauty of the season. 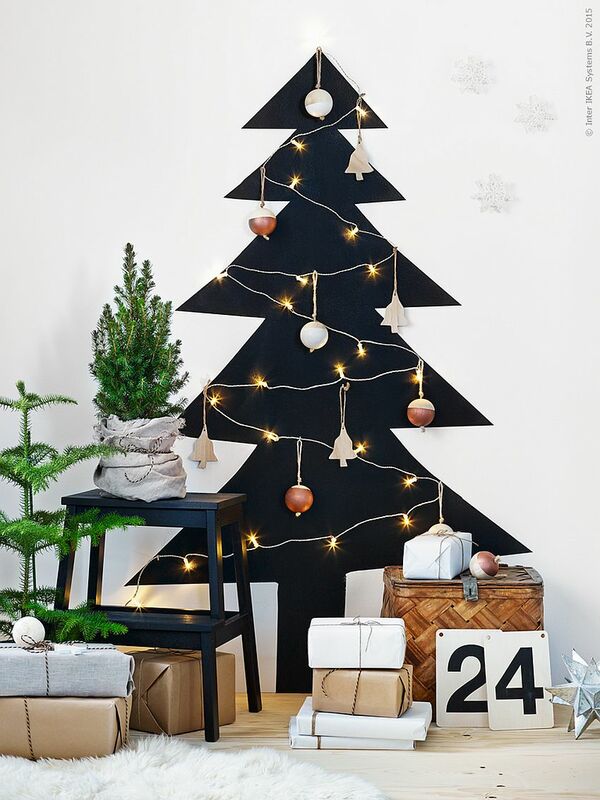 But this year, we are throwing a curve ball to make it a tad bit more exciting – the alternative Christmas tree. 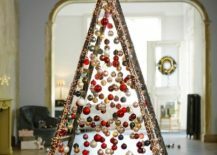 Each Christmas brings with it a unique set of decorating trends and one particular Christmas ornament or decorative piece that the world adopts as the ‘hottest hit of the season’. 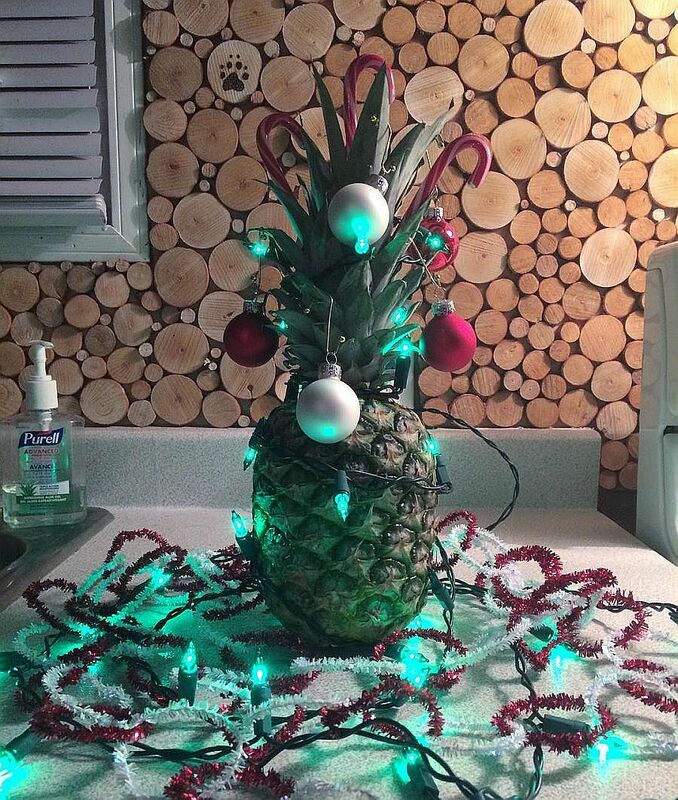 This year, it feels like the Pineapple Christmas tree and decorations are taking that spot. 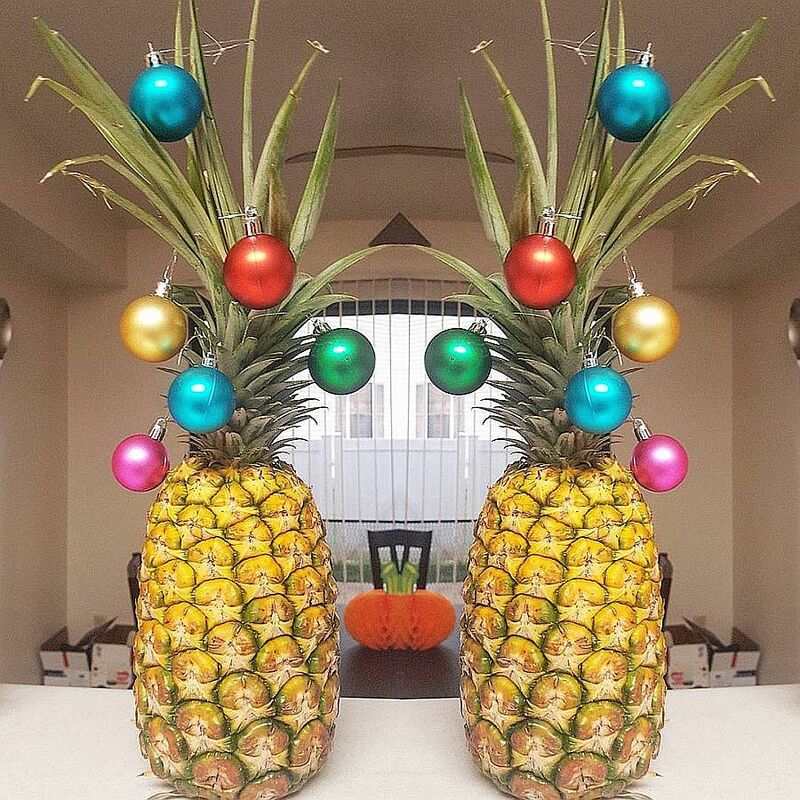 Yes, you heard it right; we ARE indeed talking about pineapples replacing the traditional Christmas tree. 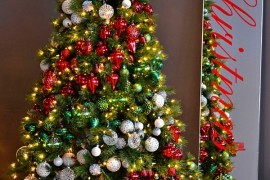 And even if they are not replacing one, they sure are complementing it beautifully. 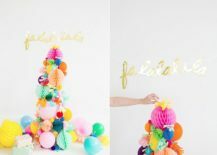 It does feel like a fun idea to try out and is both inexpensive and easy to do. 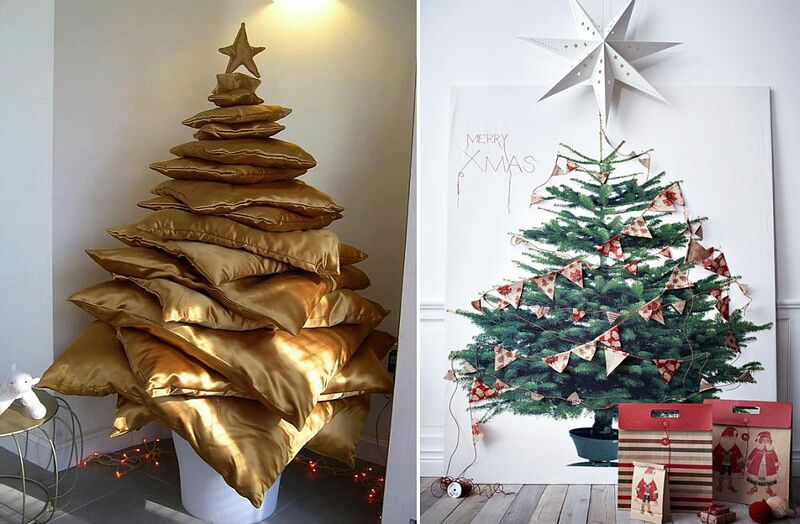 RELATED: Artificial Christmas Tree or Natural? 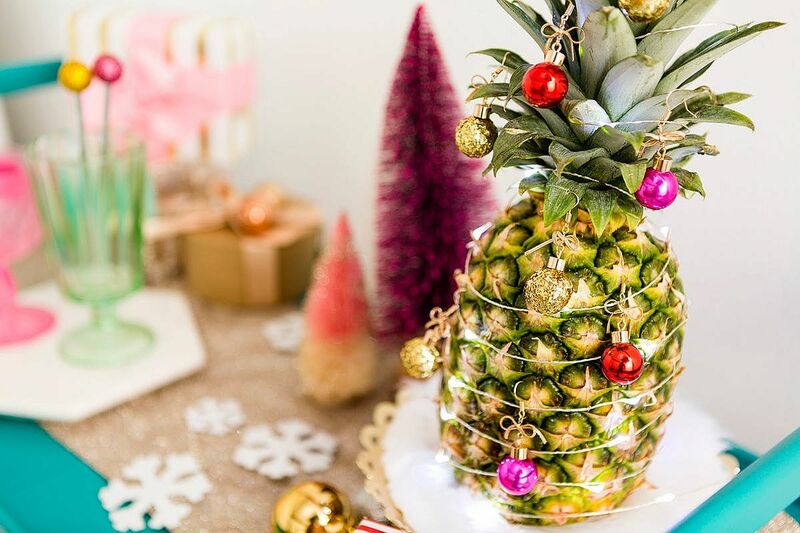 Festive baubles on a pineapple make for a fun Christmas tree alternative! 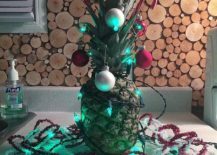 If you haven’t already heard about the pineapple Christmas tree mania, then we suggest you start as soon as possible and it does take very little effort to get it right. 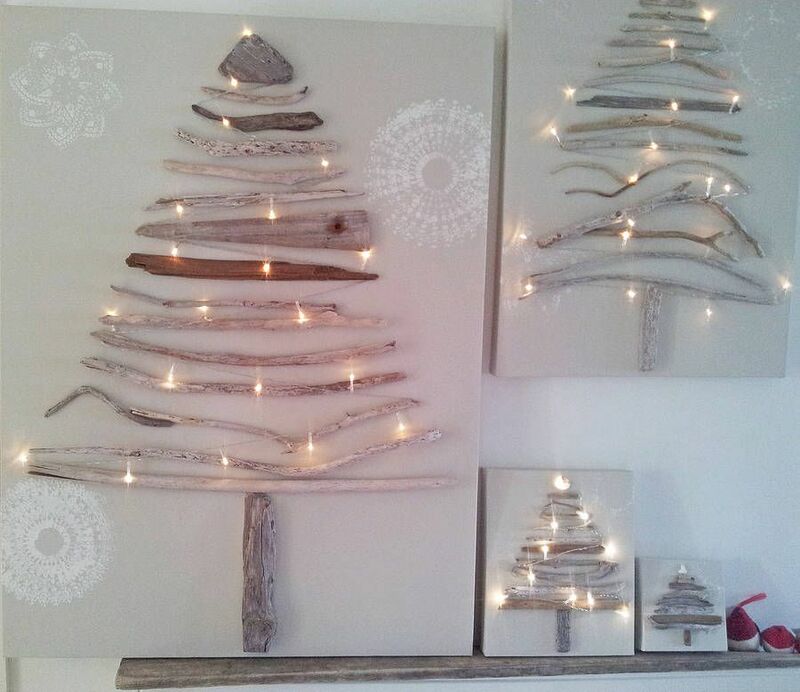 The inspirations here are just a few of the many variants you can try out. 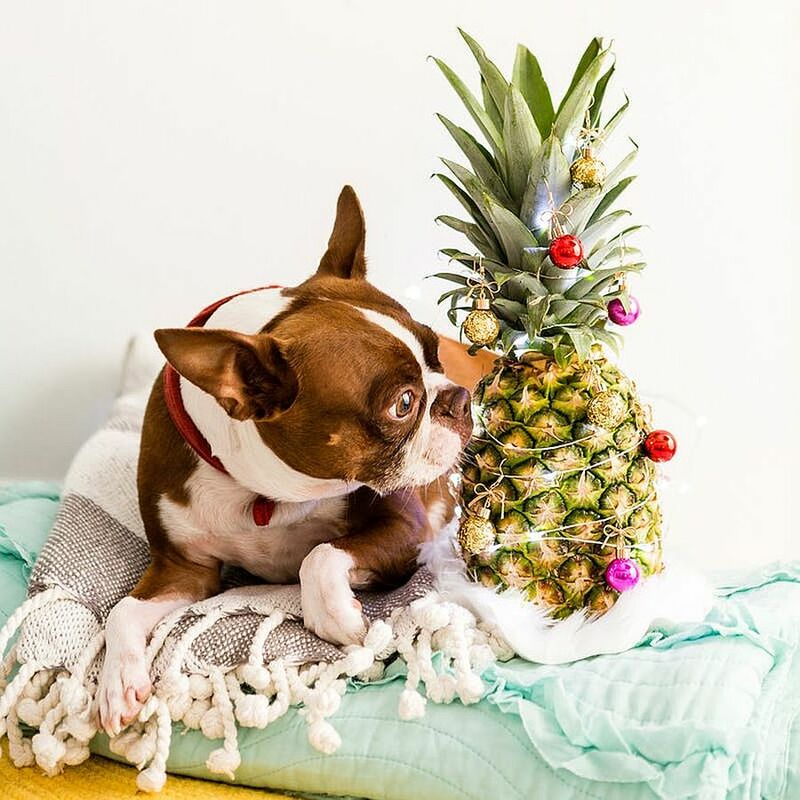 From a tiny dorm room to a small studio apartment, the pineapple Christmas tree is a perfect fit for all those searching for super-easy alternatives. 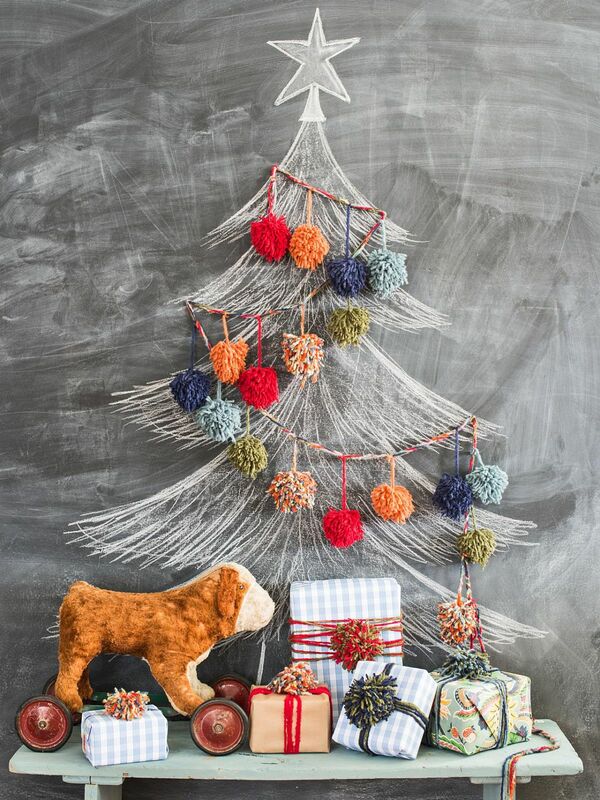 We ourselves plan to get in on the fun as Christmas draws nearer. 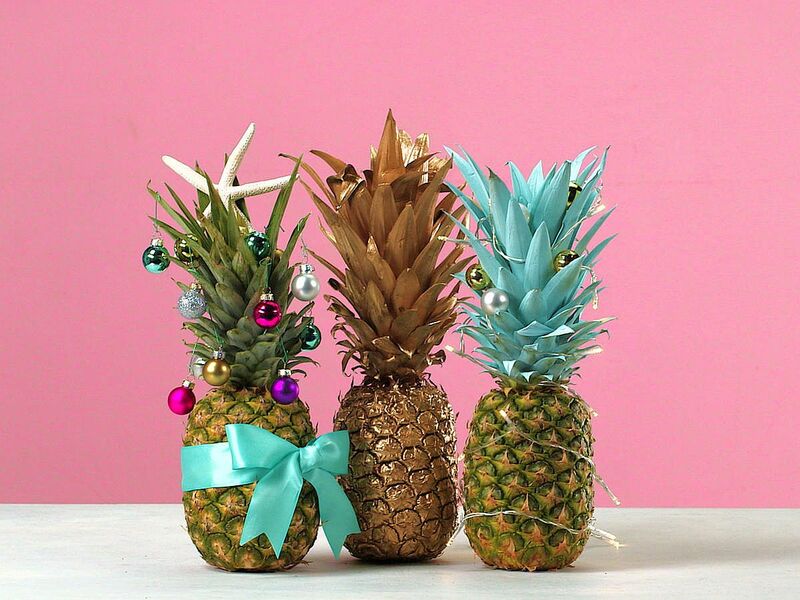 Replace the Christmas tree with a series of beautifully decorated pineapples! 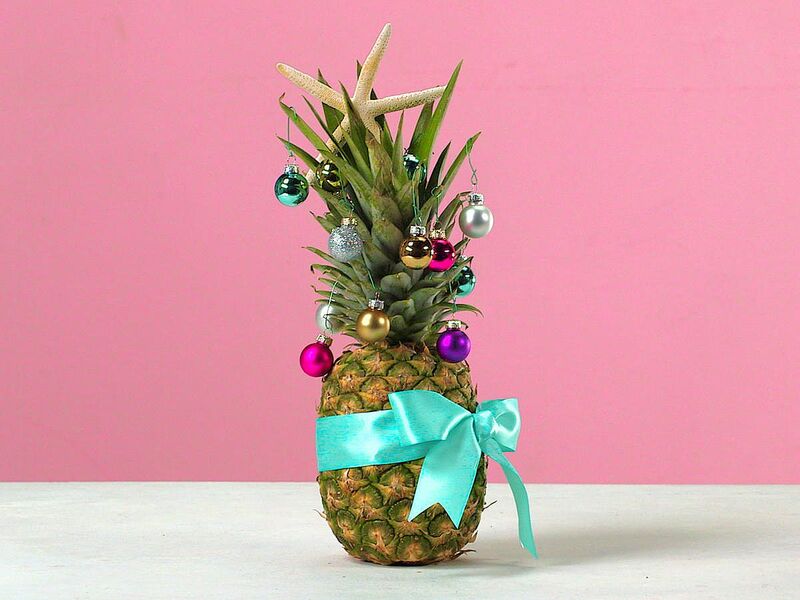 From pineapples we move on to creative Christmas trees that fit on a board – quite literally! 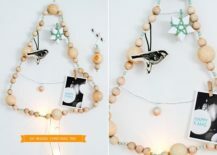 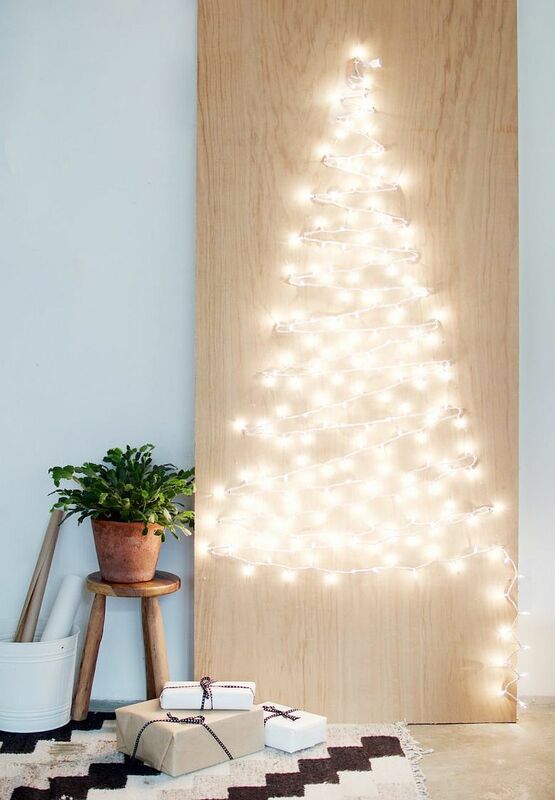 The DIY String Light Christmas Tree is both bright and striking and allows you to create a single colored or multi-colored Christmas tree outline using just a wooden board and flashy lights. 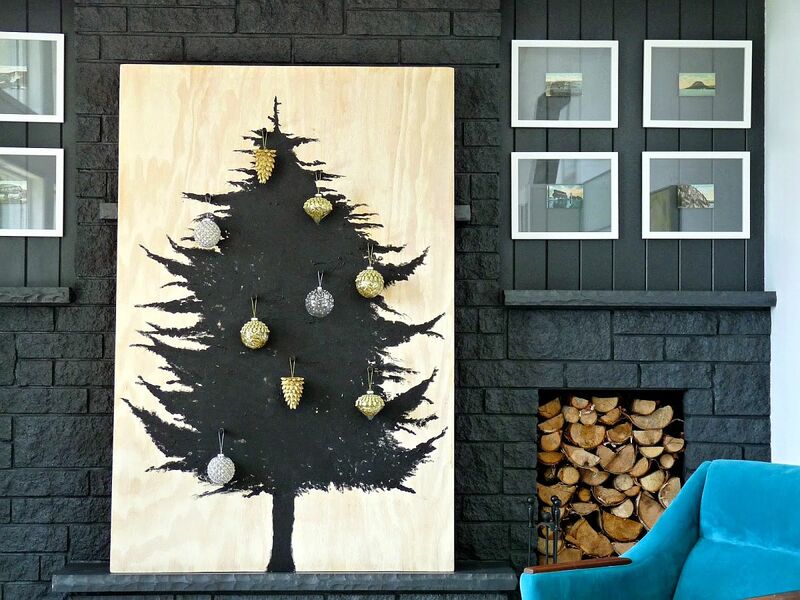 Prefer something more understated? 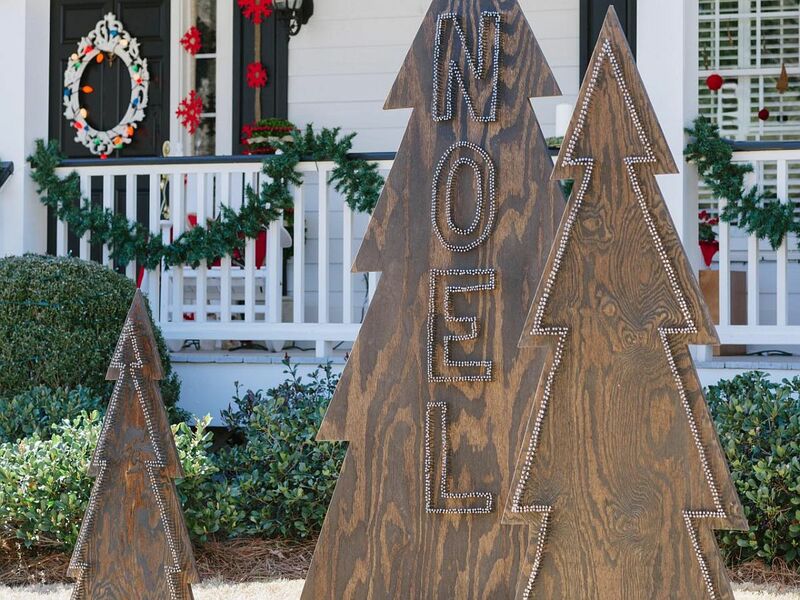 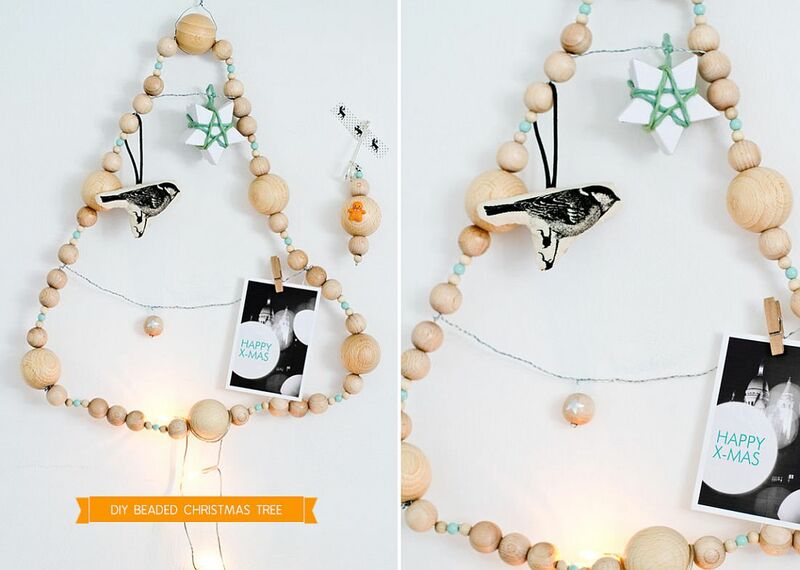 Not to fret, as the Scandinavian-style DIY plywood Christmas tree comes to your rescue. 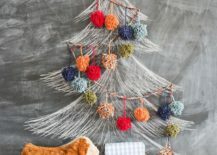 You can still hang all your favorite Christmas ornaments (or at least most of them) and you have a Christmas tree that can be easily reused next year! 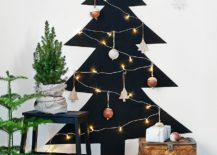 A wall decal mimicking the outline of a Christmas tree or a Chalkboard wall where you draw your own Christmas tree and decorate with fluffy pompoms; the choice of how you wish to paint the picture depends on your won skillset and the style of your living space. 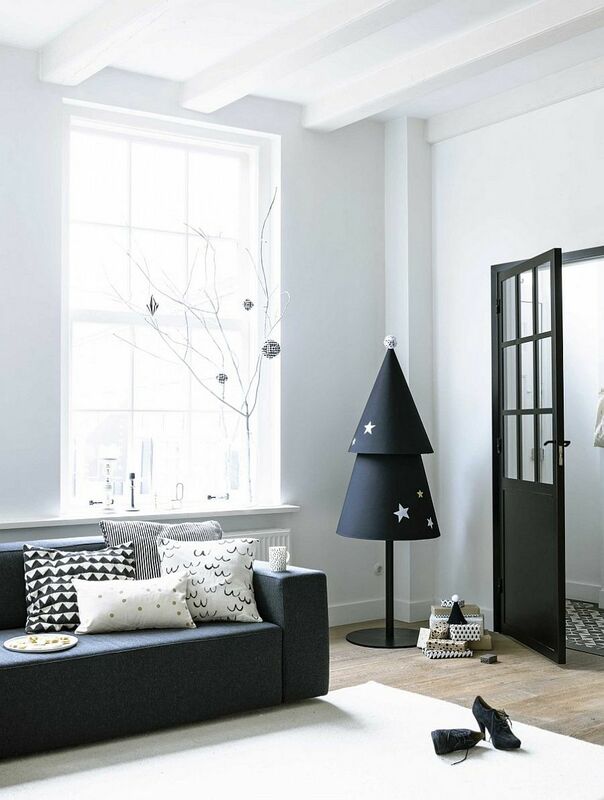 If you detest all the black, go for something greener and a lot merrier to usher in the festive charm. 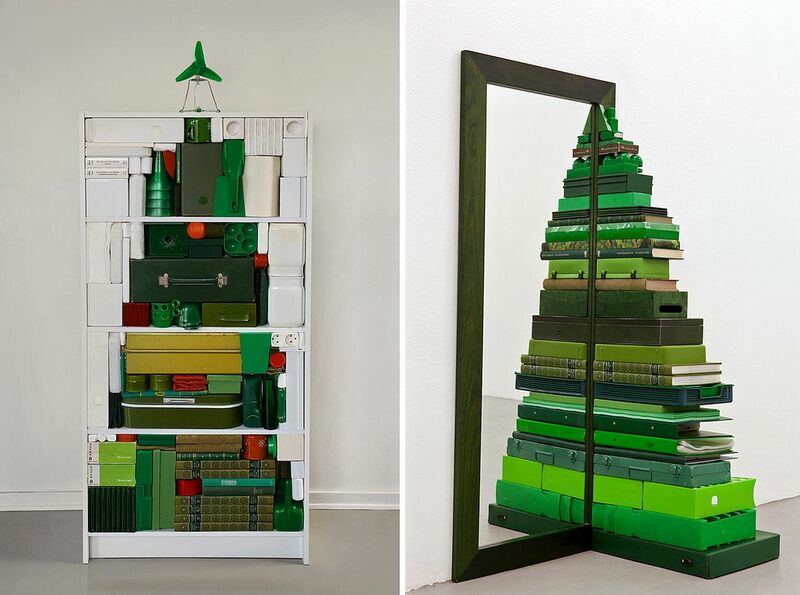 As the Holidays come along, our search for additional decorating space reaches a whole new level. 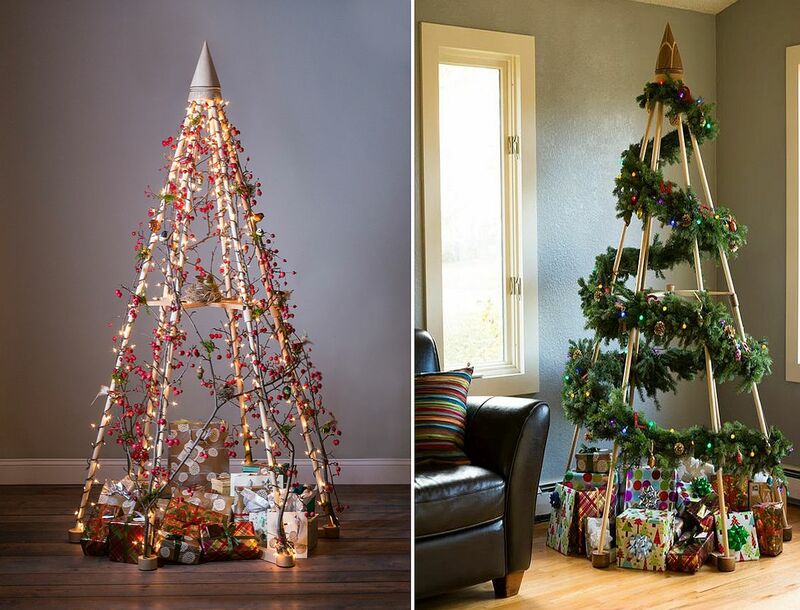 A Christmas tree that is homemade, unique and snugly fits into the corner of the living room does come in mighty handy. 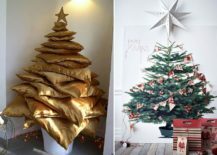 With most alternative Christmas tree ideas here, the attempt is to recreate the outline and the form of a traditional Christmas tree. 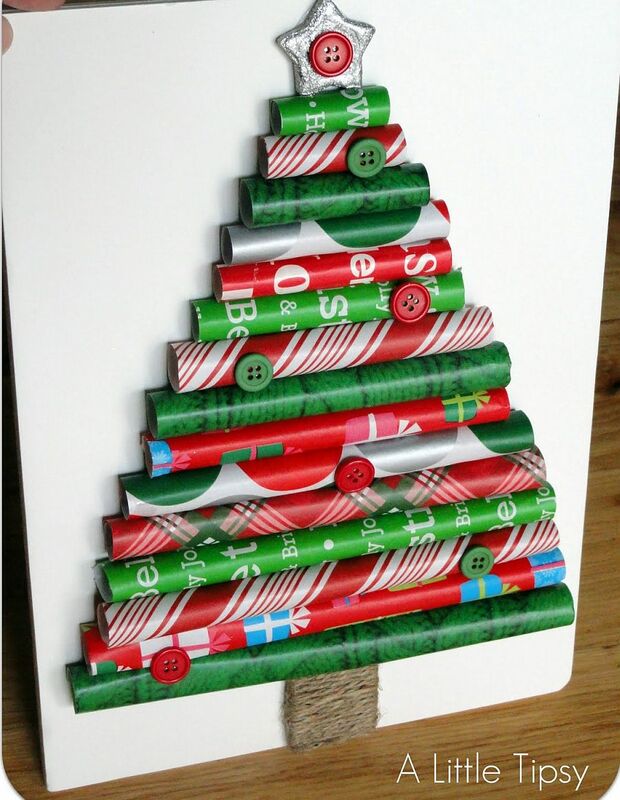 Once the outline is in place, your brain seems to automatically fill in the gaps as it is trained to do so over time! 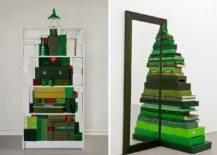 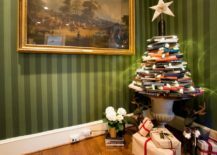 An alternative Christmas tree with stacked décor and boxes in same hue, pillows that are neatly placed in the corner or even a pile of books – it is not about the material used, but all about the final picture that you present. 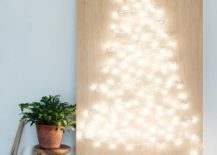 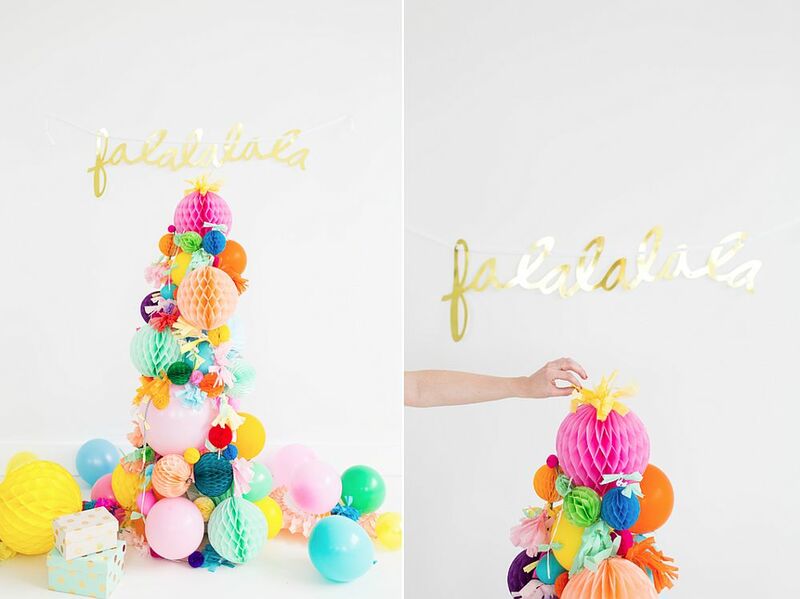 Complete it with a cool Christmas tree topper, the right lighting and a few glittering baubles and you have a custom, DIY tree that stands out visually. 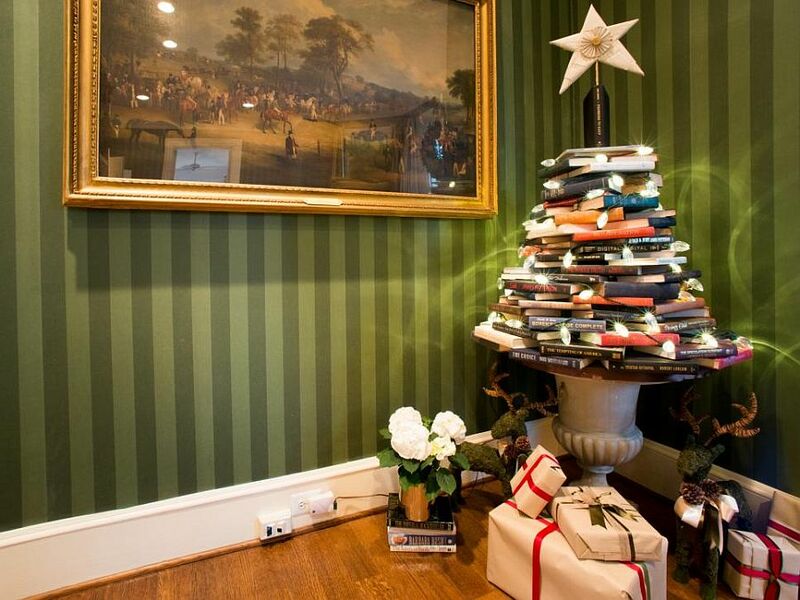 A pile of books and string lights can make a beautiful Christmas tree! 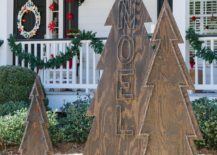 Holidays not only are fun, ultimately relaxing and often taxing, but they also demand in plenty when it comes to creativity. 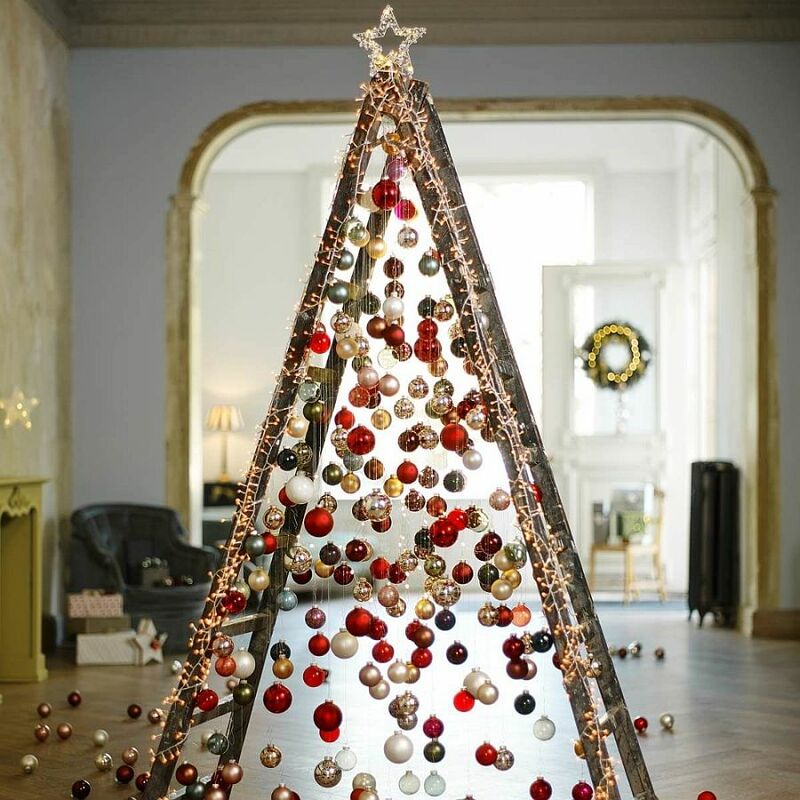 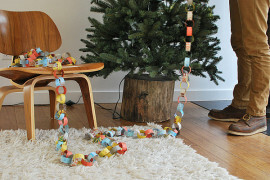 Tap into some of those creative juices and work with materials that you already have to create a cool Christmas tree. 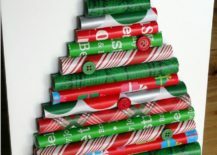 The wrapping paper DIY Christmas tree is one such great idea and it sure puts all that extra wrapping paper stuck in the attic boxes to good use! 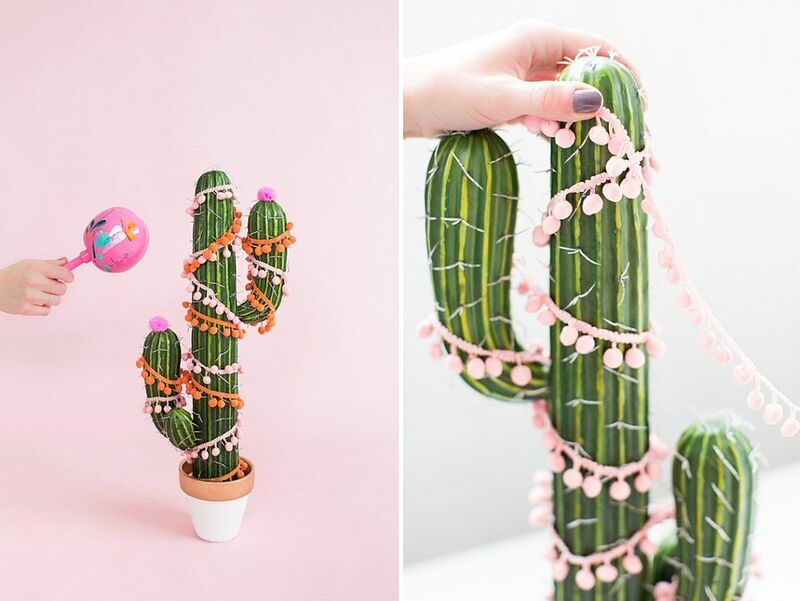 Another idea that we absolutely adore is the Christmas tree cactus. 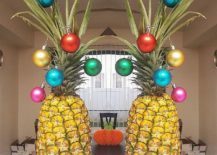 Sure, this is not as trendy the juicier pineapple version of it all. 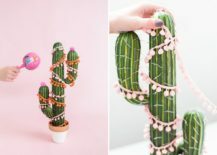 But maybe it is the start of a new trend that will catch on come 2018!